A tribute to the great peacemakers of the 20th Century for orchestra, choirs, soloists,and narrator, with video throughout. Peacemakers received multiple Emmy® Awards in 2017. 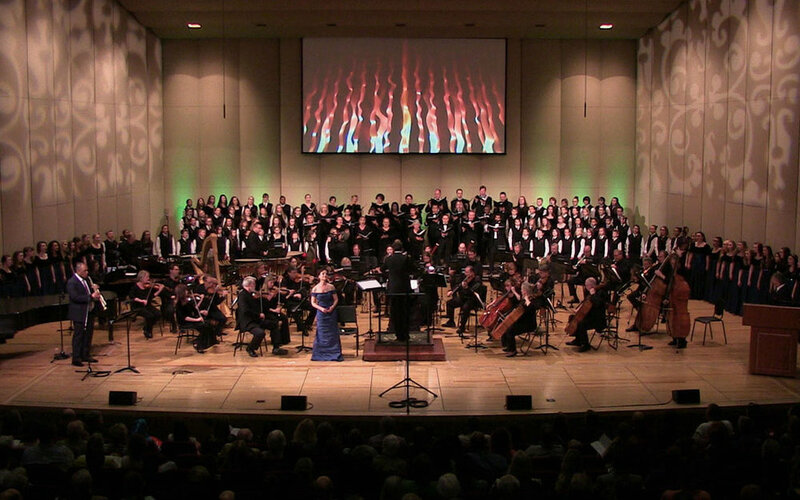 Commissioned by the Indianapolis Chamber Orchestra, Matthew Kraemer, Music Director and Conductor. For string orchestra. Commissioned by Thomas Beczkiewicz, co-founder of the International Violin Competition of Indianapolis, for his dear wife, Ania. In 3 Movements. Written for the Indianapolis Chamber Orchestra, Kirk Trevor, Music Director & Conductor. For 4-part chorus, soloists and organ. In 3 movements. Naxos American Classics.